We’ve come a long way from the religious wars of our past. Western societies have inflicted plenty enough violence in the name of God and that sets us apart from extreme Jihadists who fight for that reason. I don’t feel religion has a place in our military. I’m not opposed to soldiers speaking freely about their religion or practicing it when part of the military. What I am opposed to is the military asking them about it-as if it mattered. In a story by Adelle M. Banks of the Religion News Service it is reported that questions about “spiritual fitness” have been a part of a mandatory military questionnaire since October 2009. As part of the Global Assessment Tool some statements that require response include “I am a spiritual person" and "I believe there is a purpose for my life." “Although spiritual fitness is offered to all soldiers, it is not meant by any means to influence, dissuade nor entice soldiers to believe in a deity, endorse religion, or in any way state that a soldier is unfit to serve if they lack spiritual fitness," said Lt. Col. David Patterson, a spokesman for the Army. The question that I believe should be on the questionnaire is whether or not religion really matters in the Army. I don’t think soldiers should be denied privilege to talk about or practice any religion they choose but it should also be their business to keep it private. The thing that all members of the Army most likely commonly worship is their country. They share a love and a desire to fight for it. Religion can also get in the way when one religion is singled out. 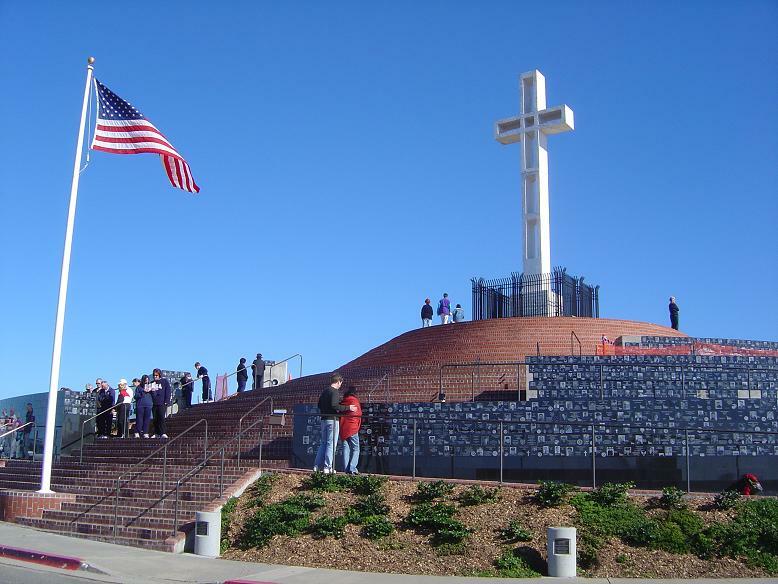 A 43-foot cross that is part of a veteran’s memorial in California was ruled unconstitutional. Unconstitutional or not it should be common sense that including only a cross as a religious symbol at this memorial leaves out veterans who do not subscribe to the Christian faith. "The use of such a distinctively Christian symbol to honor all veterans sends a strong message of endorsement and exclusion," wrote Judge M. Margaret McKeown for the 9th U.S. Circuit Court of Appeals. The monument was erected in 1954 to honor vets from World Wars I and II and the Korean War. A cross has been on the site since 1913. It has been involved in a continuous litigation regarding its legal status since 1989. Legal groups that supported the memorial call the decision a “slap in the face” to military veterans. What about non-Christian vets, sounds like a slap in the face to me too. Click to read the original story.